StudioPress Blogger Template is a modern Portfolio and flexible creative theme that’s perfect for professionals such as web developers, web designers, creative agencies, photographers, freelancers and suitable for any type of business. It is fully Responsive and Easy to customize blog template. It is dynamic sleek and fast loading template. 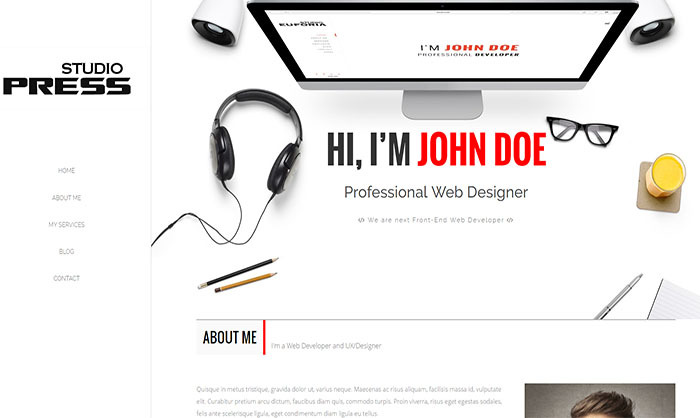 If you’re web designer or web developer and looking for any professional and creative them then this is one of the best choice for your website because it comes with some advanced features that you never be able to find in any free theme.